Our neighbors are really nice. Strange, but nice. He’s blind and she has an artificial leg. So, they occasionally need help with their small farm. This neighbor of ours hired a fellow to help around with chores. The helper drove their tractor through a gate, kept driving and sold the tractor in Ohio. He was on some “bad” drugs according to the neighbor. Anyway, this morning their five cows got through the damaged gate and wandered out onto Main Street in the small Jackson County town we live in. Our dogs are a very good “cow alert”. Having chased our own horses numerous times, we went out to help round up the fugitives. The great cow chase was on. Chasing one unpredictable animal is difficult, chasing five is comical. Where is Rowdy Yates when you need him? You get two of them going the right direction and the other three talk them out of it. 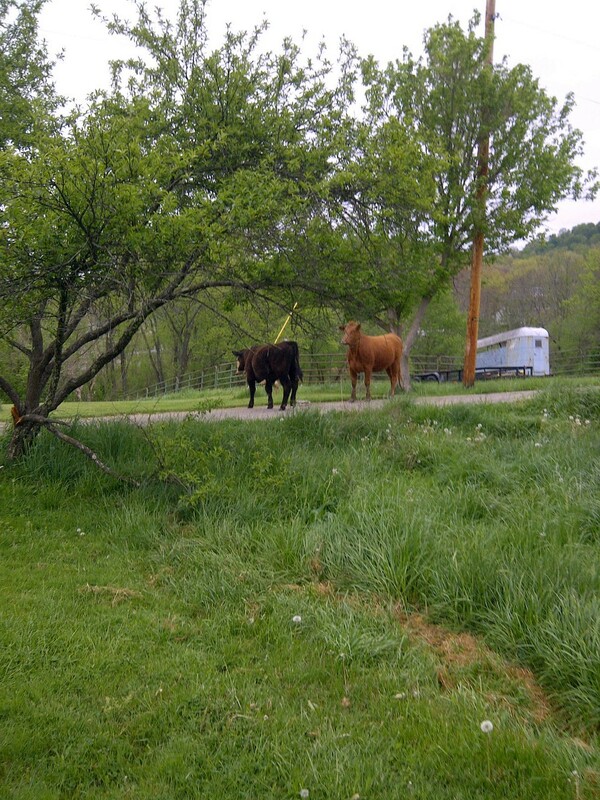 One of the cows got into our pasture and our horses got into the act. 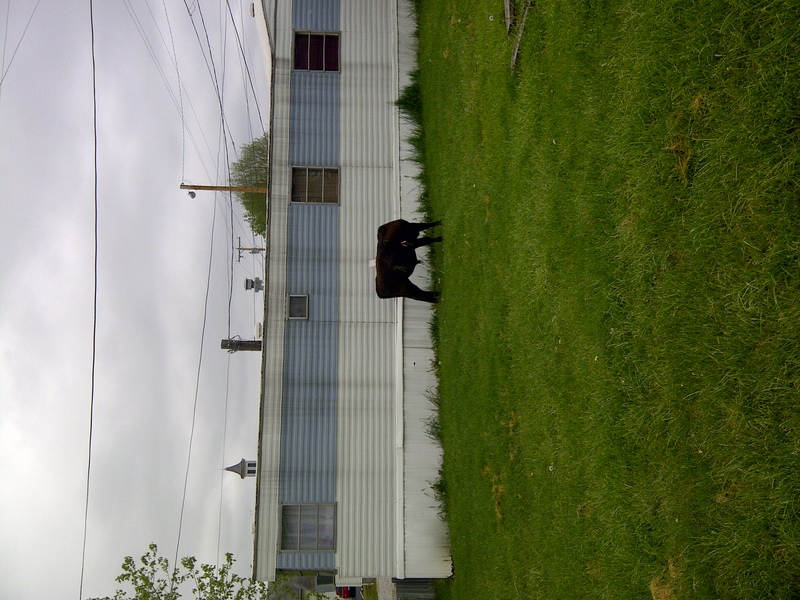 Now we have four cows at the Methodist Church and one being chased by our three horses. So, that’s three humans, two dogs barking, three horses, five cows and a partridge in a pear tree. Not exactly a corporate model for efficiency. We finally got the cows, a few pounds lighter (us and the cows), back home. The “druggie, holding the gate we entrusted him with, told us, “if’n yer horses git out, I’ll help ya’ git ’em back home.” Thanks, but don’t get on our tractor!